This large 16*16 pixel WS2812B flexible LED matrix is a great way to add an impressive amount of color while still being able to individually control each LED. 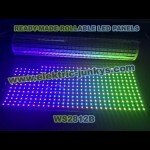 We aren’t kidding around, that’s 256 individually addressable LEDs on a 170mm x 170mm flexible panel. You can create animations, games, or even incorporate them into a fun e-textiles project. On top of all that, thanks to its flexible backing, this LED Matrix can be bent and bowed to fit onto almost any curvy surface. 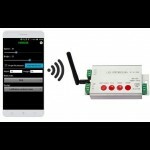 These panels require a 5V low voltage input for power which needs to be able to source a good amount of current – up to 5A in most uses (15A if all LEDs are set to bright white, which is NOT recommended). 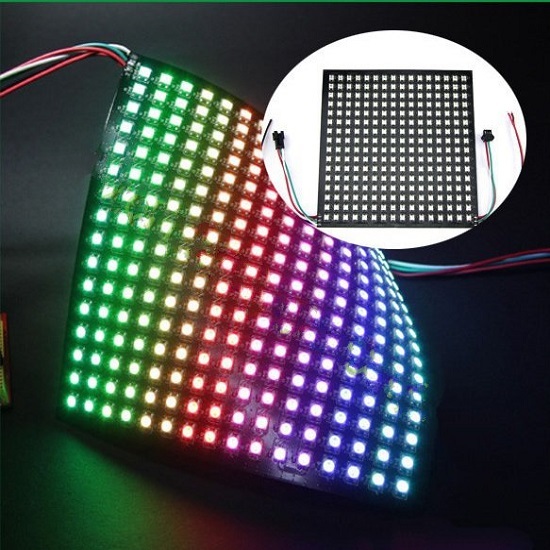 Attached to each flexible LED matrix are two 3-pin JST SM connectors and two sets of bare power cables (input / output), which provide you connections for DC5V+, COM-, DAT, and GND. Needless to say, if you are looking for a large panel of addressable LEDs to fit the contours of almost any surface you’ve come to the right place. Note: Over bending may significantly reduce the structural integrity of the flexible panel. 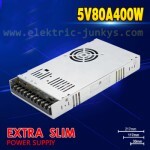 Do not bend this Panel too rough, you may damage LED traces or the panel itself. do NOT fold this matrix in half! 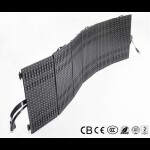 Build your own Flexible led screen, led wall, advertising board. Apply to hotel, KTV, bars, advertisement company, decoration company, the city lighting project, entertainment and leisure places lighting. 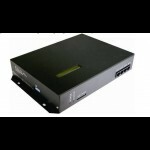 Working mode:external controller Arduino compatible. 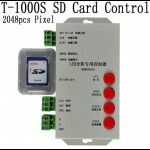 Realtime Controller Live transmission controler for led displays, WS2801, WS2811,WS2812b,WS2813..
T-1000S System features1.32~256 Gray level,Support software Gamma correction.2.Support the rules and..
Controllable driver chipLPD6803, LPD8806, LPD1882, LPD1889, LPD6812, LPD1883, LPD1886, DMX512, HDM..
Realtime Controller Live transmission controller SD card controller for led displays, ws2801,..
P30 -P100 LED Mesh Flexible Video Screen for outdoor/indoor 980mm*980mm-New design with soft and gri..